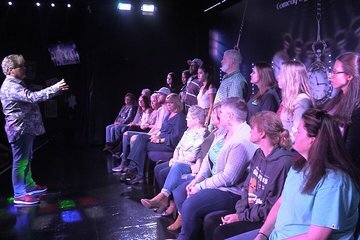 Find out for yourself if hypnosis is real at the Hypno Jimbo Comedy Hypnosis Show in Myrtle Beach. Set at the Five Star Venue, Jimbo’s dynamic production was nominated for Best of the Grand Strand in 2018. The 2-hour show will have you laughing from beginning to end. Audience members must be at least 13-years-old and those over 16 are free to volunteer to be in the show.